Agar Agar: A natural thickening agent that comes from seaweed as a form of algae. This herb has a laxative effect. Agrimony: Useful for treating cuts, bruises and other wounds, this herb is taken to assist in the generation of digestive and liver secretions. It is frequently used to alleviate the symptoms of appendicitis. Other common applications include laryngitis, incontinence and soothing effect on sore throats. Alder Tree: The leaves of this plant are helpful in reducing swelling, especially for swollen breasts or even feet. This herb must be avoided during pregnancy. Alfalfa: Useful in preventing tooth decay and relieving arthritic or rheumatic pain, this herb is very nutritious and is used for detoxification and aiding in pituitary function. Aloes: Frequently used in the treatment of stomach ailments, cancer and additionally burns and other skin conditions. Aloe Vera is the ointment variation of aloe that is used for skin treatments. Angelica: When a cough, pleurisy or bronchitis occurs along with influenza, fever or a cold, this herb can be used as a helpful expectorant. Both the root and the seed are commonly used. It is the root of the plant that is most commonly used medicinally. Aniseed: The dried fruit of the plant can be used in controlling muscle spasms common to gastrointestinal problems and bronchitis. It has an anti-spasmodic tendency and is very helpful when used in the treatment of whooping cough. The oil of the plant is frequently used to treat an infection with head lice. Apple Tree: Reduces fever and helps to eliminate gravel in the bladder when made into a tonic. Arnica: Helps in the reduction of rheumatic pain in addition to the pain and even inflammation caused by phlebitis. This medication must never be taken internally. Arrowroot: This food item can be used in the treatment of bowel afflictions in both invalids and infants. Astragalus: Treats compromised immune systems by giving them a boost, useful in the treatment of influenza or even cancer. Balm: Includes the following: Lemon Balm, Sweet Balm and Melissa. The flowers and leaves are useful in treating flatulence, digestive disorders, reduction of perspiration and toothaches. Balm of Gilead: Bark and leaves of the poplar tree, used to brew a tea that is gargled for use for the treatment of sore throats, laryngitis and just ordinary coughs. This herbal treatment is also called Poplar buds or Balsam Poplar. Balmony: Used in the reduction of colic, dyspepsia, biliousness and the treatment of eczema. Considered useful for the liver and the stomach. Other common names include bitter herb, turtle head or snake head. Barberry: Reduces swelling inside of the bladder resulting from gall stones. Can also be use to aid liver function and also the flow of bile. Basil: A tea brewed from this common kitchen herb used for cooking is helpful in the reduction of nausea. Bay: Useful in the treatment of cramps and the digestive process. Can also be used to increase strength when a tonic is made from the leaves. Bayberry: Bark, leaves a flowers are used to treat sore throats, stomach ulcers, lung afflictions, piles. Common names include Wax Myrtle, Waxberry and Candleberry. Bee Pollen: This energy enhancing food is helpful to cancer patients undergoing radiation therapy who have developed radiation sickness. Beet Root (Red): Taken in small amounts, this herb acts as a liver and a spleen cleanser. May lead to reactivation of a liver that has become slow functioning. Bergamot: Useful when treating conditions of stomach upset and even gas. Betony: Blood purifier than can be used to help patients with jaundices, colic and even epilepsy. Birch: Useful in the treatment of arthritis and urinary tract infections. Bitter Root: Used in the treatment of afflictions affecting the mucous membranes, this root can be used to fight fevers, aid in diabetes treatment and the elimination of gall stones. Bitter Sweet: Helpful in the treatment of burns, fever, liver problems, pancreatic problems, spleen problems, problems with other glandular organs and also in the purification of the blood. Blackberry: Used as a safe alternative treatment for burns and skin conditions. Can also be safely used as a natural reliever of diarrhea and dysentery. Black Catechu: Used in localized treatment of sore gums and mouth. Black Cohosh: Using the dry roots proves useful in reducing the pain of arthritis, osteo-arthritis, and rheumatic pain along with neurological pain. Small amounts can increase appetite and aid digestion. Common names include Black Snakeroot, Bugbane, Rattleroot, Rattleweed, and sometimes Squawroot. This strong and powerful relaxant is also very effective in the treatment of pain associated with menstrual cramps. Black Haw: This root is commonly used in the alleviation of pain associated with false labor or threatened miscarriages. Can also be used to treat high blood pressure. Black Root: Reduces inflammation of the gall-bladder in combination with decongestion of the liver. Black Walnut Hulls: Useful primarily for the treatment of skin related diseases. Can also be used to eliminate tapeworms and other parasites. Blessed Thistle: Increases the amount of oxygen that gets to the brain. Influences the balancing of hormone levels. Blood Root: Used in the treatment of asthma patients, relaxing bronchial muscles, and in allaying the symptoms of the croup. Commonly used names include Red Root, Tetterwort and Red Indian Paint. Blue Cohosh: Useful in aiding women during childbirth, when used shortly before delivery. Also used to aid in alleviating false labor pains. 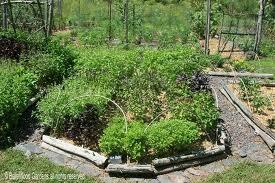 The root and the rhizome are frequently the parts of the herb that are used. Common names include papoose or squaw root. Blue Flag: The root of the plant is used in the treatment of rheumatism, cancer, skin afflictions, blood impurities and it can also be used for its laxative effect. Bogbean: Aids in the digestive process by stimulating the generation of digestive juices and additionally the walls of the colon. It is also helpful in the treatment of rheumatoid arthritis, osteo-arthritis and additionally rheumatism. Boneset: Helpful in treating an infection of influenza, Boneset is a fantastic remedy used for the relief of flu symptoms. This herb acts fast to relieve aches, pains and the accompanying fever. Borage: Used in the renewal of the adrenal glands, as well as treating mouth sores, ringworm, kidney problems and blood afflictions. Specifically recommended for patients who have been treated with cortisone. Buchu: Used in the treatment of excessive perspiration, kidney or bladder ailments or prostate illness. Bugleweed: Aids the specific process of the central nervous system, Bugleweed addresses the concern associated with over-active thyroid glands in which cases there occurs tightness of breath, heart palpitations and difficulties including shaking. Buckthorn Bark: Effective in the treatment of dropsy and gout, this herb serves as an effective mild natural laxative. Burdock: This bitter yet effective herb is commonly known for the treatment of dry or scaly skin and even psoriasis when used long term. The herb has been called Lappa or Beggars Buttons. The effective part of the plant is the rhizome. Butternut: Increases the secretions of intestinal glands, Encourages the colon, the small intestine, and the liver. Common names include White Walnut, Lemon Walnut, and Oilnut. Calamus: Destroys the taste for tobacco, used to reduce fever, decrease the effects of stomach ailments, burns, ulcers and sores. Calendula: Used topically to treat skin afflictions. Mostly known as marigold, and the flowers are the commonly used part of the plant. California Poppy: Used as a sedative for kids when they are sleepless. This is a non-addictive alternative to opium derivatives when the aerial parts are used after drying. Caraway: The seeds are used to ease flatulence, as the appetite is also stimulated. The astringent quality will assist in the alleviation of bronchitis and laryngitis. Cascara Sagrada: Used in the treatment of chronic constipation. Common names include sacred bark, cascara and chitten bark. Catnip: Used to catch the attention of housecats. Also known as catmint. Cayenne: Useful in the treatment of skin afflictions, colds, pleurisy and even more advanced kidney problems. Celery Seeds: Used in the treatment of arthritis, rheumatoid arthritis and gout because of their anti-spasmodic effect. Chamomile: Used in the treatment of insomnia and anxiety. Also can be used in the treatment of diarrhea, menopausal side effects, and conjunctivitis. Reduces the inflammation of skin afflictions and can also be used to relieve the effects of vertigo. There are many other uses not mentioned here. Chaparral: Used in aiding the suffering of cancer victims, and in the treatment of acne, back pain and arthritis. Cherry: Reduces the effects of tuberculosis, coughing, bronchitis, high blood pressure and assists in the reduction of phlegm. Chestnut: Colds and liver afflictions are treated by the trees inner bark. Cinnamon: Antiseptic quality, useful in the treatment of colds. Coltsfoot: Used in the treatment of whooping cough and bronchitis. The dried leaves and flowers contain useful amounts of zinc. Common names include Coughwort, Foals Foot and Horsehoof. Comfrey: Used to treat colitis, intestinal ulcers and bronchitis. This herb contains chemicals that stimulate the reproduction of cells. Can be used internally and topically, and is sometimes also called knitbone. Coriander: Treats urinary tract afflictions, relieves stomach problems and prostate problems. Corn Silk: Useful in treating urinary irritations and as a diuretic. Damiana: Aids the central nervous system, used to stimulate sexual organs according to folk tales frequently told. Aids in generating energy within the limbs as well as the nerves. Sometimes used as a mild anti-depressant. Dandelion: Used to treat urinary afflictions, also as a diuretic. Helpful in alleviating fever and also in the treatment of anemia. Most commonly, the roots and leaves are used. Devils Claw: Treats kidney and liver problems and relieves the symptoms of arthritis. Dill: Soothes the nerves of the body and the seeds make a great treatment for colic and flatulence. Echinacea: Helpful in boosting the immune system and in the treatment of colds and upper respiratory infections. Also helpful in removing boils and carbuncles. Can be used in cases of blood poisoning. May also be called purple coneflower. Elecampane: Relieves the pain of bladder and kidney stones, treats asthma, coughing and bronchitis. Also used in the treatment of tuberculosis. Eucalyptus: Leaves and bark of the tree, also known as blue gum, are often used to treat asthma and bronchitis. Eyebright: Taken internally, can remove cysts that result from conjunctivitis. Useful in protection of the eye. Strengthens the eye as well. Fennel: Decreases appetites, reduces uric acid and reduces the symptoms of colic and gout. Fenugreek: The seed is used to alleviate swelling, fever, and blood poison prevention. Can also be brewed into a tea useful for treating sore throats. Feverfew: Frequently used to reduce dizziness and ringing in the ears. Can also be used to treat migraine headaches. Flaxseed: Reduces sore throats and treats mucous membranes. Fo-Ti: Stimulates memory and is useful in the treatment of mental depression. Garlic: Emulsifies cholesterol and aids removal from the walls of arteries. Garlic is used universally, and has been used also to treat digestive ailments, whooping cough and high blood pressure. Gentian Root: Useful in treating snakebites, can be used as a substitute for quinine. Also used to treat the liver, colds and to reduce fever. Ginger: This plant is a catalyst of chemical stimulation. Used to treat stomach cramps and to stimulate suppressed menstruation. Ginseng: This root is often used to stimulate the brain and to increase blood pressure. Also used in the treatment of upper respiratory problems. Golden Seal: Has the same effect as insulin within the body, useful in the treatment of tonsillitis, meningitis and ulcers in addition to diphtheria. Can be used also as a substitute for quinine. Gotu Kola: Used to increase memory and brain function. Hawthorne: Restorative property for the heart muscle, also sometimes known as a heart herb. Dilates the blood vessels in the heart gently. Henna: Useful in the treatment of skin afflictions and liver infections. Hops: Restores the appetite and treats the effects of anemia. Horehound: Useful in the treatment of colds, coughs and sore throats. Horsetail: Treats kidney stones, aids the urinary tract and assists in the removal of kidney stones. High silica content assists in maintaining skin elasticity. Hydrangea: Used to reduce urinary tract infections, stones and even cystitis. Most commonly, it is used to reduce the size of enlarged prostate glands; the roots are the most commonly used part of the plant. Hyssop: Aids in recovery process after a cold. Also an effective body cleanser. Juniper Berries: Used in the treatment of dropsy and leucorrhea. Kelp: Calms sensory nerves and removes the effects of radiation from the body. This seaweed derivative is not truly an herb, but is very useful in the treatment of thyroid problems, including resulting goiters. Knapweed: Reduces swollen glands and internal bleeding. Lavender: Used to reduce stress, and to alleviate stress related headaches. The flowers are most commonly used in treatment. Also used to treat and eliminate depression. Liquorice: Treats stress, hypoglycemia and afflictions of the adrenal glands. Also can be used to treat coughs and chest irritations. Can be used to relieve sore throats and reduces stress. Lobelia: Used to treat pneumonia, pleurisy, heart palpitations and peritonitis due to its relaxant effects. Can also be used to strengthen weak muscles. Marshmallow: Used to treat irritated or swollen eyes. Also helpful in relieving lung problems, hoarseness and dysentery. Sometimes used to treat kidney afflictions. Often used as a vaginal douche. Milkweed: A liver tonic useful in the remedy of gallstones, and increasing the amount of bile secreted by the liver and gallbladder. Marigold: Used for skin treatment, and useful in strengthening the heart. Marjoram: Digestive aid also useful in the treatment of nervous conditions. Mugwort: Relieves gout and treats stomach problems. Mullein: Treats upper respiratory conditions including allergies and bronchitis, along with hay fever symptoms. Myrrh Gum: Used to treat ulcers, hemorrhoids, pyorrhea and bad breath. Also useful in the treatment of lung diseases. Nettle: Treats rheumatism, eczema, nosebleeds, high blood pressure, arthritis and circulation problems. Nettles strengthen the entire body as they contain calcium, iron, potassium, sulfur, sodium and chlorine. Nettles are used almost universally in the applications listed above, as they are commonly found across the globe. Oregon Grape: Commonly used in treating skin afflictions including eczema and psoriasis, as well as other skin conditions that result in scaly skin. Very close in make-up to golden seal and barberry. Pansy: Useful in the treatment of the kidneys and the bladder. The flower contains many minerals and vitamins. Papaya: Used in the treatment of allergic reactions and in aiding the digestive process. Parsley: Useful as a diuretic and in the alleviation of gall stones. Contains potassium and vitamin B. Passion Flower: Sedative effect of this flower is used in relieving headaches, high blood pressure and neuralgia. Pennyroyal: Reduces phlegm in the chest and the lings. Also commonly used by women in menopause. Should be avoided by pregnant women. Peppermint: Commonly used in the treatment of travel sickness and flatulence. This herb can be used to relieve colic, and to treat nausea. Plantain: Suppresses bleeding from cuts, relieves eczema and burns. Useful in the treatment of bronchitis or coughing. Pleurisy Root: Commonly used in the treatment of upper respiratory infections. Psyllium: Used as a colon cleanser to clean out the body and relieve auto-intoxication. Raspberry: Strengthens the uterus during pregnancy and alleviates the effects of morning sickness when brewed as a tea. Red Clover: This blood purifier is considered to be an antidote to cancer. It contains the power of lime, silica and other earthy salts. Relaxes the nerves and entire systems within the body. Rhubarb Root: Relieves headaches and stimulates the muscles of the bowels. Rose Hips: High vitamin C content encourages use of this herb to fight infections. It contains nearly one hundred times the vitamin c found in most foods. Also can be used to combat the effects of physical stressors as well as pollution. Vitamin C is not the only vitamin; it also includes amounts of vitamins, A, B1, B2, E, K, P, niacin, calcium, and iron, phosphorous. Rosemary: Assists in headache treatment, depression treatment and calms the digestive system. Rue: Used to treat worms, gout, nervousness and convulsions. Helpful for the joints. St. Johns Wort: Useful in the alleviation of menopausal symptoms, reduces pain and has a mild sedative effect. Also used for anxiety and tension. Saffron: Eliminated uric acid from the body and reduces the storing of lactic acid within the joints. Also used in the treatment of scarlet fever, measles and arthritis. Sage: Used to slow or stop bleeding when used externally, can be used to treat mouth ulcers or other mouth sores when used as a gargle. Useful to expel worms and to treat liver and kidney problems. Sarsaparilla Root: Purification effects useful in detoxifying the blood, also used to treat ringworm, rheumatism, gout, skin afflictions and scrofula. Sassafras Bark: Used to treat skin afflictions and colic. Acts as a purifier for the body and the blood. Saw Palmetto: Stimulates reproductive organs, used in the treatment of upper respiratory afflictions. Has a mild sedative effect. Senna: Commonly used for it’s a strong laxative effect. Skullcap: Relives pain caused by neuralgia. Used in the treatment of high blood pressure, heart conditions, epilepsy and also various afflictions of the central nervous system. Less damaging than the effects of using quinine. Slippery Elm Bark: Useful in the treatment of afflictions affecting the bowels, kidney, bladder, stomach and lungs. Can be used to ease stomach ulcers or the effects of stomach cancer. Squaw Vine: Taken during pregnancy, useful for urinary tract irritation. Also used for various other female problems. Tansy: Not Safe for Use During Pregnancy! Used to expel worms, treat jaundice and nervous conditions. Thyme: Used to treat upper respiratory infections, cough and asthma. Also can be used externally for wound care. Uva Ursi: Helpful in treating urinary infections, specifically severe infections where blood and mucus come from the bladder. Also used by diabetics and those with kidney problems. Valerian: Sedative effect used to calm nerves. Can be used in the treatment of epilepsy, derangement or nervous irritations. Sometimes used to treat scarlet fever and measles. Vervain: Excellent for colds, used also for fevers. Sometimes known as Wild Hyssop. Gives added strength to the nervous system, used to treat depression or melancholia. Wahoo: Used to treat urinary tract problems, jaundice and conditions of the liver. Can also be used to aid in relief from constipation. White Oak Bark: Useful in the treatment of internal swelling and even tumors. Specifically good for treating hemorrhoids or varicose veins. Wild Carrot: Used as a diuretic, effective treatment method for prostatis, rheumatism and gout. Also called Queen Anne’s Lace, this herb is used to clean the urinary tract, making it useful for the treating of cystitis and kidney stones. Witch Hazel: Effective douche, also used to treat circulation problems, lung problems, uterine problems and eye tumors. Wood Betony: Treats bed-wetting. Excellent herb for the bladder and kidneys. Wormwood: Used in the treatment of digestion, liver ailments and relieving fever. Yarrow: Sooths and heals mucus membranes, and if used prior to the onset of a cold, it expedites healing and recovery. Yellow Dock: This blood purifying herb conditions the body, and is rich in minerals and iron. Yucca: Used in the treatment of rheumatism, arthritis. The extract is the commonly used ingredient.